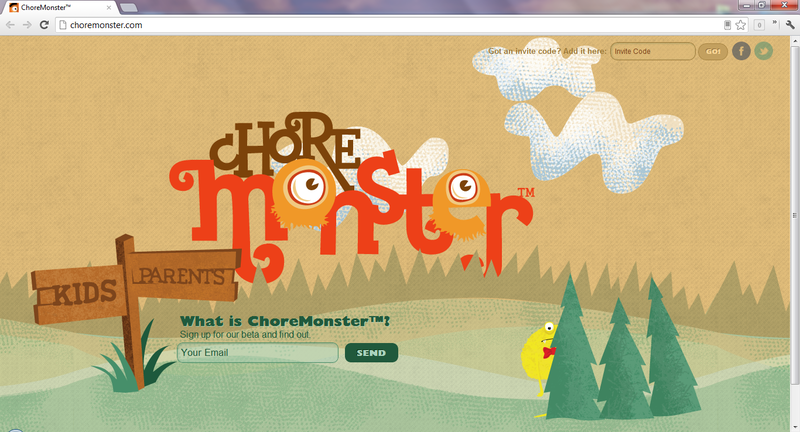 ChoreMonster effortlessly organizes chores for your children while making them fun and also teaches simple computer skills. 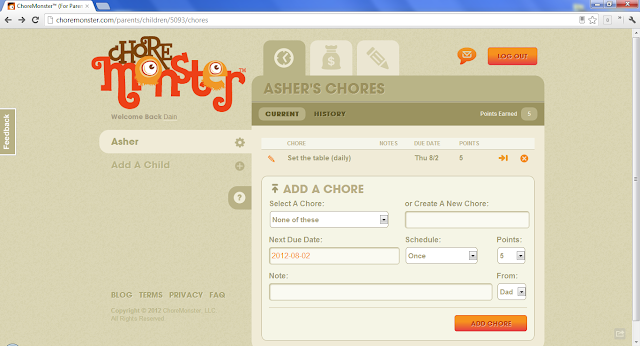 Upon login the parent adds their children and sets up a username and password for them to access their chore list. 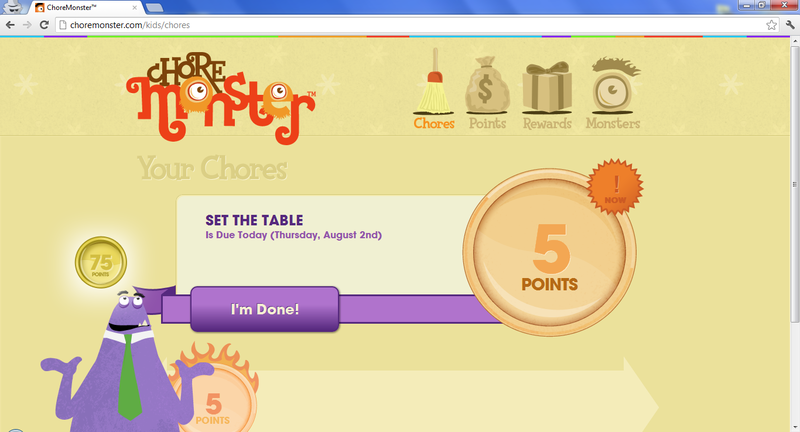 Chores are added and assigned with due dates, the frequency of the task, and the number of reward points earned. The points are used for the kids to buy rewards that you setup such as a back ride for five points, a new toy for twenty, or a trip to a theme park for a thousand points. When your child logs in they will see their list of chores to do with all the details where they can mark them as complete. The parent is notified via email and must confirm the completion of the task under their account. After confirmation your child is award the points so that they may exchange them for a reward of their choice (that you set up). The kids site is extremely easy to use and not cluttered. I really like this because it is so simple to use and does an excellent job of organizing and keeping everything controlled. Teaching your kid how to save for things they want with the points/rewards is another great benefit and lesson. The only additional feature I would like to see is the option to not reward the points if the chore is completed past the due date. Be sure to read ChoreMonster's blog and follow them on Twitter.